The floors of your clients’ home are some of the first materials to show the wear and tear of everyday life. Dents, dings, and scratches all take their toll. 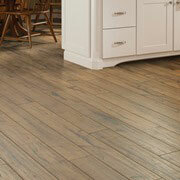 When your client wants new flooring in their home, stop by ProSource® of Evansville. 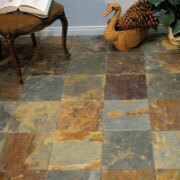 We have high-end flooring materials at low wholesale pricing. Enjoy our comprehensive selection of carpet, hardwood, laminate, tile, and vinyl flooring. Carpet flooring is a great way to make a room feel more comfortable and cozy. It’s soft to the touch, and thanks to our wholesale prices, soft on your wallet too! 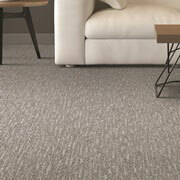 Met with a flooring specialist to find the right pattern, color, and style of carpet flooring for your client. Who doesn’t love the look and feel of a beautiful new hardwood floor? For finishes that will stand the test of time, our showroom offers solid, engineered, and renewable hardwood floors that are kind to your budget and the environment. 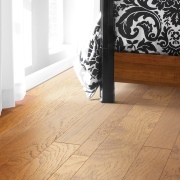 If your client wants the look of hardwood, but the maintenance of tile, explore our laminate flooring options. Patterned to convincingly replicate the appearance of hardwood flooring, laminate flooring is easier to care for, easier to install, and easier to afford. Tile flooring is ideal for active and utilitarian spaces like the bathroom or kitchen. It’s naturally water-resistant and can withstand heavy use. But it’s also a fine choice for living areas, like sunrooms and living rooms because it is easy to clean and can be laid in beautiful patterns. Visit ProSource today to see our selection of glass, ceramic, and porcelain tiles! 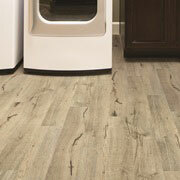 Luxury vinyl tile (LVT) and luxury vinyl plank (LVP) flooring are quickly finding favor with homeowners. It has all the beauty of hardwood or stone flooring at a significantly reduced price. Make the most of your flooring budget with the vinyl flooring options in our showroom. We proudly serve Evansville, Newburgh, Boonville, Haubstadt, and Mt. Vernon, Indiana, as well as Henderson, Kentucky. The ProSource of Evansville showroom is conveniently located in Evansville, Indiana and serves all of the neighboring cities including Albion, Allendale, Barnhill, Baskett, Beaver Dam, Beech Creek, Beech Grove, Bellmont, Bicknell, Bone Gap, Boonville, Bremen, Bridgeport, Broughton, Browder, Browns, Bruceville, Buckskin, Burnt Prairie, Calhoun, Cannelburg, Carmi, Cave In Rock, Centertown, Central City, Chandler, Chrisney, Clay, Cleaton, Corydon, Crayne, Cromwell, Crossville, Curdsville, Cynthiana, Dale, Dawson Springs, Decker, Dixon, Drakesboro, Dubois, Dundee, Earlington, Elberfeld, Eldorado, Elizabethtown, Ellery, Emma, Enfield, Equality, Evanston, Evansville, Fairfield, Ferdinand, Flat Rock, Fordsville, Fort Branch, Francisco, Fulda, Gentryville, Golden Gate, Graham, Grandview, Grayville, Greenville, Griffin, Hanson, Hartford, Hatfield, Haubstadt, Hawesville, Hazleton, Henderson, Herod, Holland, Huntingburg, Inglefield, Ireland, Island, Jasper, Junction, Karbers Ridge, Keensburg, Lamar, Lancaster, Lawrenceville, Lewisport, Lincoln City, Livermore, Loogootee, Lynnville, Maceo, Mackey, Madisonville, Manitou, Maple Mount, Mariah Hill, Marion, Maunie, Mc Henry, Mc Leansboro, Mill Shoals, Monroe City, Montgomery, Morganfield, Mortons Gap, Mount Carmel, Mount Erie, Mount Vernon, Nebo, New Harmony, New Haven, Newburgh, Norris City, Nortonville, Oakland City, Olaton, Omaha, Otwell, Owensboro, Owensville, Parkersburg, Patoka, Petersburg, Philpot, Plainville, Poole, Poseyville, Powderly, Princeton, Providence, Ragsdale, Raleigh, Reed, Reynolds Station, Richland, Ridgway, Robards, Rockport, Rosiclare, Rosine, Rumsey, Sacramento, Saint Anthony, Saint Charles, Saint Francisville, Saint Meinrad, Santa Claus, Sebree, Shawneetown, Slaughters, Smith Mills, Somerville, South Carrollton, Spottsville, Springerton, Spurgeon, Stendal, Sturgis, Sullivan, Sumner, Tennyson, Tolu, Troy, Uniontown, Utica, Velpen, Vincennes, Wadesville, Washington, Waverly, West Louisville, West Salem, Wheatcroft, Wheatland, White Plains, Whitesville and Winslow.